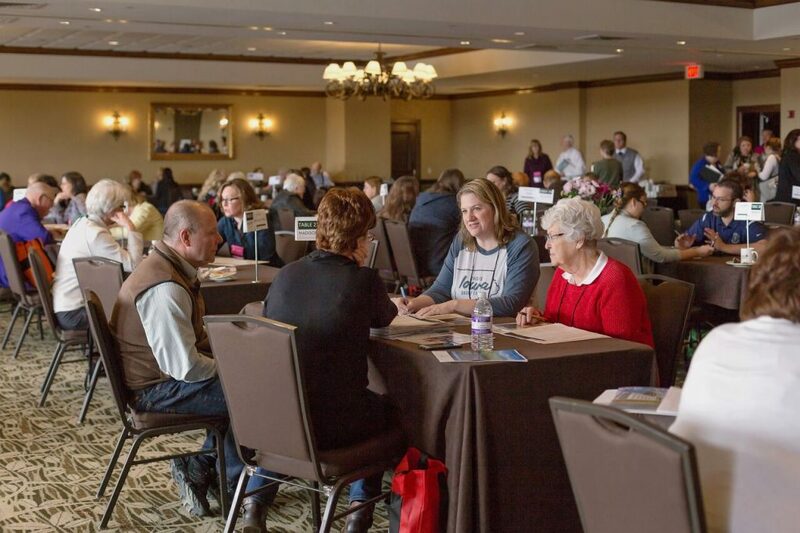 Nearly 150 travel professionals converged in south-central Wisconsin this April for the fifth annual Midwest Marketplace trade show. 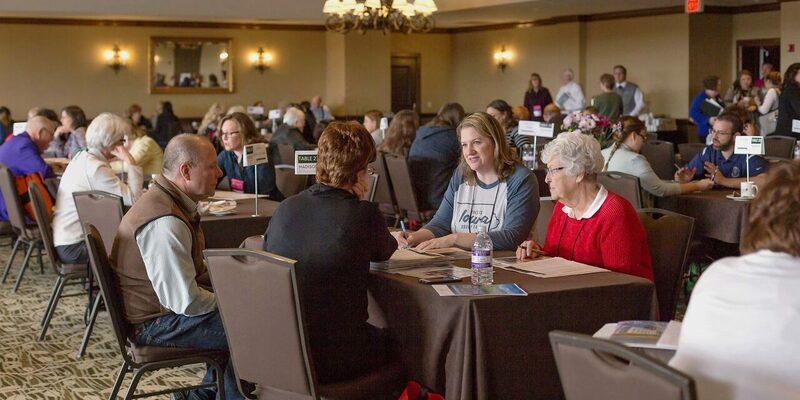 Circle Wisconsin welcomed independent tour operators and representatives from CVBs, attractions and hotels as they gathered for three days to forge connections and encourage camaraderie throughout the region’s travel industry. 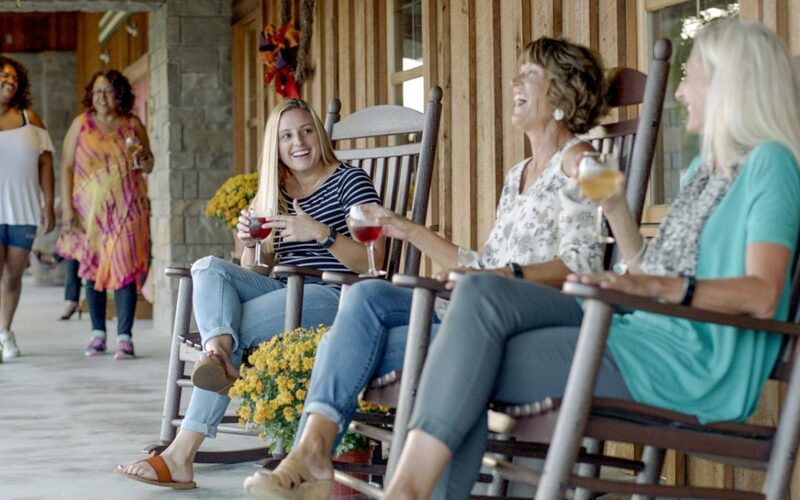 Wisconsin, Iowa, Indiana, Illinois, South Dakota, North Dakota, Minnesota and Michigan were all represented at an event that included sales floor sessions and evening entertainment. The event was hosted by Walworth County: Lake Geneva and Beyond at the Grand Geneva Resort, a Frank Lloyd Wright-inspired hotel complex that includes a golf course, gourmet restaurants, ski hill and expansive ballroom space for meals and presentations. Unlike many trade shows, Midwest Marketplace encourages a casual and contained atmosphere, with the entire sales floor fit into one ballroom. 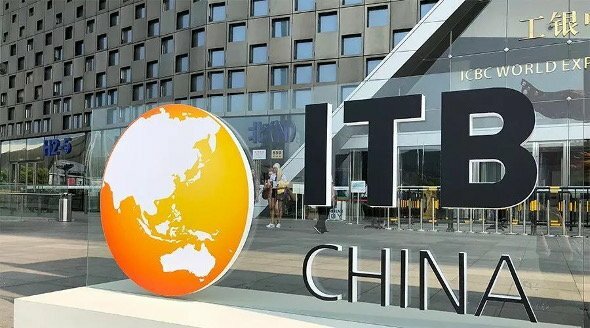 Tour operators were encouraged to socialize freely in between sessions, enjoy a variety of refreshments and visit a convenience station across the hall that featured free pharmaceutical and office supplies. 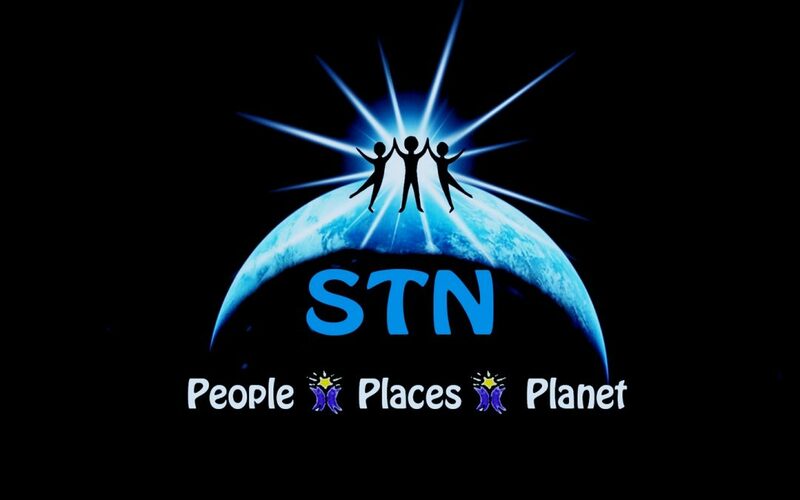 First-time attendees immediately felt comfortable, citing the collaborative environment. “We’ve already generated several quality leads,” said Alana Fuller of Comfort Suites Urbana-Champaign. 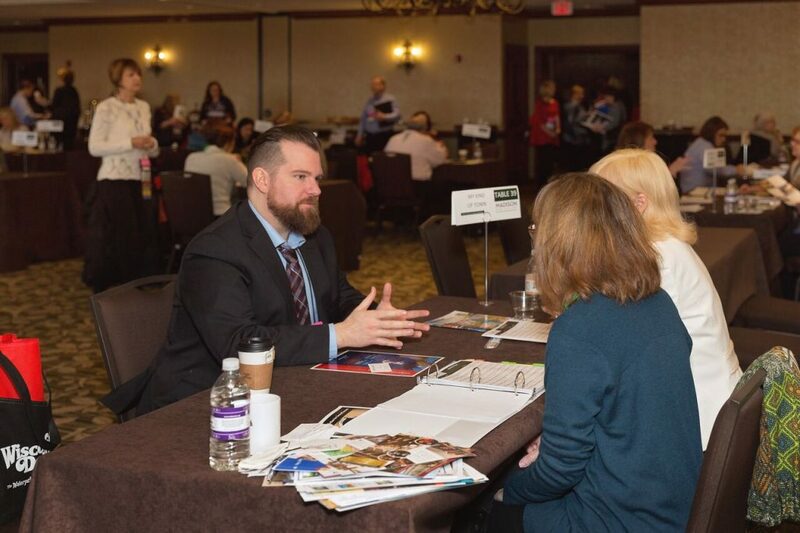 “This is my first time at Midwest Marketplace, but it’s already evident that they’re really trying to reinforce a community atmosphere that makes the operators feel comfortable.” Dobrzynski believes Midwest Marketplace’s goal to match every tour operator and every attraction for at least one meeting gives it an advantage. Buyers and sellers were matched for six-minute appointment sessions for a total of nearly 3,000 one-on-one meetings. Midwest Marketplace’s other strength is its friendly and communal atmosphere. Cocktail breaks are frequent between sessions, attendance is limited to encourage personal connection and tour operators are encouraged to dress casually and mingle with new acquaintances. The event is also notable for its strong regional emphasis. 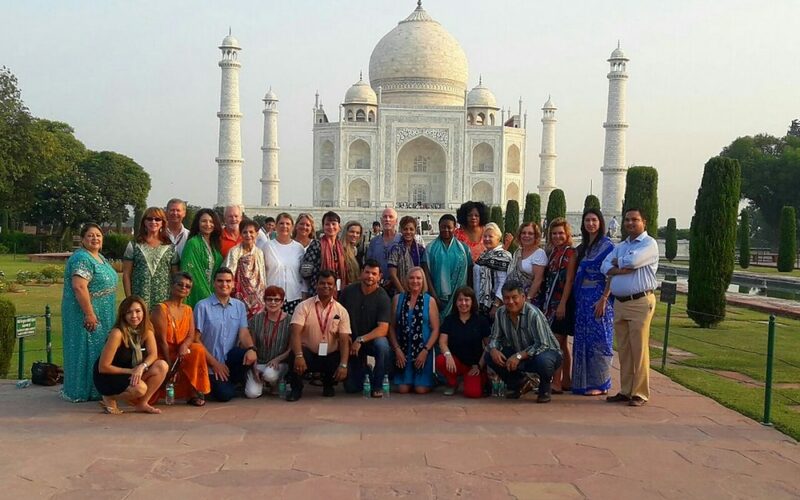 Only Midwest DMOs and attractions are invited to attend, and the approach allows operators to develop strong regional itineraries without diluting the focus of the event. 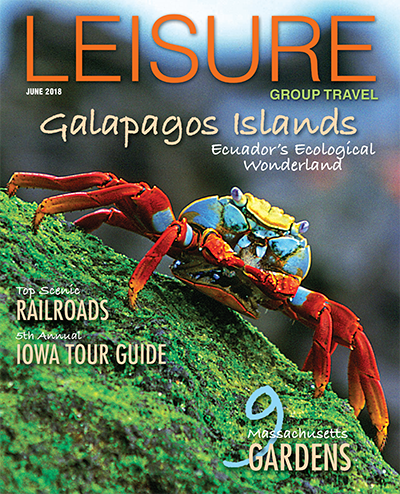 “What distinguishes Midwest Marketplace is its focus on the Upper Midwest,” said Mary Ross, group sales and marketing director for Madeline Island Ferry and a Circle Wisconsin board member. Dobrzynski and her fellow organizers excelled at evening activities and showcasing local Geneva attractions. Conference-goers embarked on an evening aboard a Lake Geneva Cruise Line sightseeing tour that included views of mansions belonging to the famous Driehaus and Wrigley families. Dinner and entertainment were later provided at the Riviera Ballroom, a beautiful space that hosted local magician Tristian Crist, entertainment by the talented performers Mark and Gretch of Rosewood and booths that highlighted Walworth County attractions. 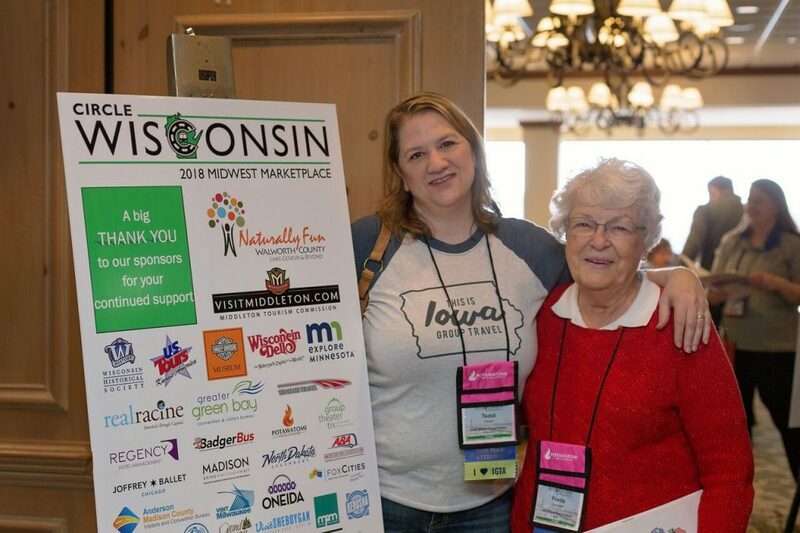 The 2019 Circle Wisconsin Midwest Marketplace is set for April 7-9 at Eagle Ridge Resort & Spa in Galena, Illinois.